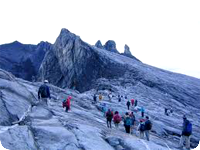 Trekking safely captures the top spot in tourist's list of things to do. Set amidst the highest and youngest mountain range in the world, there is an overflow of well defined trekking tracks in Jammu and Kashmir. Snow skiing in Jammu and Kashmir is like a dream come true to any adventure sports enthusiast. The snow capped mountains in Kashmir offer great opportunities for snow skiing. The best place for skiing in Kashmir is Gulmarg. The white water rafting on the two mountain streams of River Indus and River Lidder that is the favorite of the adventure enthusiasts. 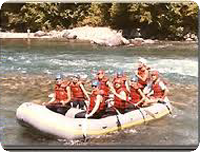 Rafting is a very recent sport in Kashmir. 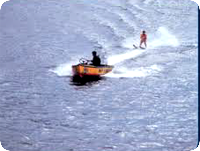 With the onset of summers in Kashmir a variety of adventure sports are available on the Lakes of Kashmir. 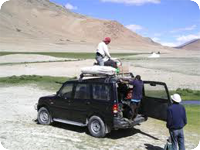 A trek in the water is a delight for those who want to discover Kashmir through water bodies. Fishing is big business in Kashmir through spring and summer.The season runs from April to October. 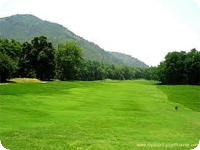 Golf tourism is one of the main attractions of the Kashmir valley in summers. The peak season for golf in Kashmir is from April to November.